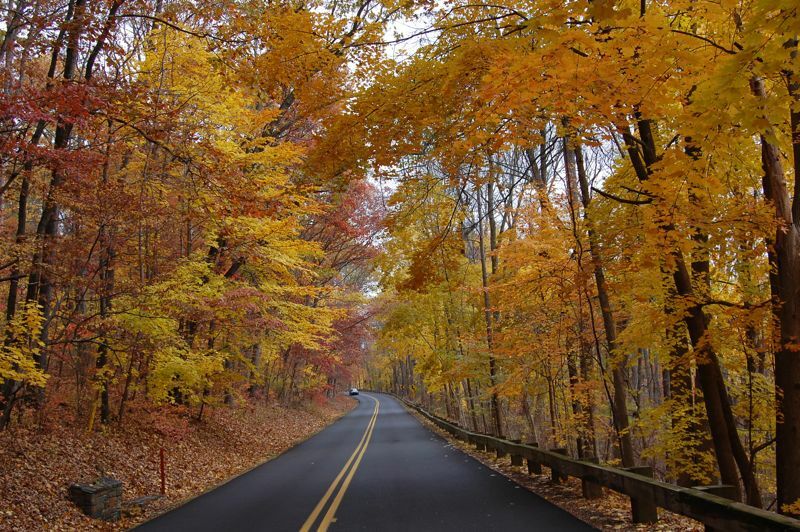 I was driving on Deep Creek Road last autumn and I could not resist trying to capture this colorful canopy. The town of Green Lane is named for the color of the trees. When this picture was taken, Green Lane had brilliantly betrayed its name!! Last fall the colors behaved differently than in previous years. The leaves retained their colors for a long time though so we had ample opportunity to appreciate the show.